568 Horsepower 5.9 litre V12, Leather Colour - AML Special, Paint - Special AML Colour, Brake Calipers - Black, Ventilated Front Seats, Contrast Stitching, Alcantara - Contemporary, Carpet Colour - Contemporary, Headrest Embroidery - Aston Martin Wings, First Aid Kit, Black Vaned Front Grille, Leather Headlining, Protective Tape, Black Meshes, Black Textured Tailpipe Finish, 2 + 2 Seating Arrangement, Garage Door Opener + Auto Dim Rear View Mirror, Seatbelts - Flint, Steering Wheel 1-77 Style Colour Keyed, Umbrella, Fascia - Satin Cuprum Carbon, 20 inch 10 - Spoke Gloss Black Wheels. Please contact us at 440-716-2000 for any inquires. Clean CARFAX. Diamond Black 2014 Rolls-Royce Wraith RWD ZF 8-Speed Automatic 6.6L V12 DGI DOHC 48V Twin Turbocharged ABS brakes, Alloy wheels, AM/FM/Satellite/CD/HDD/USB w/Navigation, Compass, DVD-Audio, Electronic Stability Control, Emergency communication system, Front dual zone A/C, Heated door mirrors, Heated front seats, Heated rear seats, Illuminated entry, Leather Heated Front Bucket Seats, Low tire pressure warning, Navigation System, Rear dual zone A/C, Remote keyless entry, Traction control. Odometer is 2847 miles below market average! Reviews: * Swift acceleration; more handling ability than any Rolls before it; lush and silent cabin; the exclusivity that only a Rolls-Royce can provide. Source: Edmunds * The most potent and advanced Rolls-Royce, the 2014 Wraith is a car for the curious, confident and bold. The striking fastback silhouette exudes elegance and power. The aerodynamic lines and wide rear track reinforce the athletic prowess and dynamism. The compelling design can be further enhanced by exclusive two-tone paint combinations, providing opportunity for you to personalize the car to your taste. Step through the coach doors and into an inviting cabin that shields you from the outside world. Each detail is meticulously designed; from the finest Phantom-grade natural leather to the soft wool carpets. Touches like the chrome bullet tips to the recessed piping on the seat panel create the sense of a vehicle tailored for performance. Wraith debuts the most intelligent drivetrain ever in a Rolls-Royce. This is a car that can see into the future. Satellite Aided Transmission uses GPS data and the navigation system to predict the road ahead. It then automatically chooses the right gear on the eight speed transmission delivering power smoothly without any unnecessary gear changes. Wireless Car Hotspot keeps you connected when you're on the move, while the new Spirit of Ecstasy Rotary Controller allows you to access music or directions with a simple swipe of a finger. To make life even easier, you can write letters straight onto the touchpad and voice control is refined to be even more intuitive. Behind the Pantheon grille sits a robust 6.6 litre, twin turbo-charged V12 engine. Delivering 624hp with 800lb of torque, it powers from 0-60mph in 4.6 seconds. Even with such fierce power, Wraith is truly a refined Rolls-Royce with that creates the signature 'magic carpet ride.' 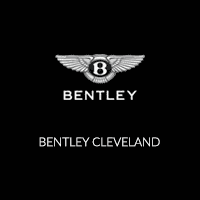 Source: The Manufacturer Summary Cleveland, North Olmsted, Westlake, Strongsville, Hunting Valley, Bentleyville, Gates Mills, Hudson, Brecksville, Avon, Motorsports, Bernie Moreno, Rolls Royce, Wraith, Ghost, Dawn, Aston Martin, Vantage, Vanquish, Vulcan, Valkyrie, DB9, Volante, Rapide, Maserati, Ghibli, Quattroporte, GranTurismo, Levante, Certified, Used, Bentley, Ferrari, Lamborghini, Ferrari, Land Rover, Cadillac, Mercedes, Porsche, AMG, Parts, Service, Finance, Luxury, Exotic, Dominic Cinalli, Lease, Authorized Dealer, trade, Convertible, Cabriolet, Executive, Car Loan, Community, Charity, Flight Plan, Review, Comparison, Supercar, for sale, guide, car, automobile, automotive, industry, performance, dealership, purchase. 600 Horsepower 5.2L Twin Turbo V12, Power Seat Bolsters, Brake Calipers - Black, Ventilated Front Seats, Dark Exterior Finish Pack, Contrast Stitching, Headrest Embroidery - Aston Martin Wings, V12 Side Fender Badges, Interior Black Pack, Gloss Black Roof Strake, Dark Chrome Jewellery Pack, Tech Pack, Smoked Rear Lamps, Contemporary and Luxury Pack, Satin Chopped Carbon Trim, 10 Spoke Directional Gloss Black DT Wheels. 563 horsepower 6.6L twin-turbo V12 - Optional Extras: 21" Five Twin Spoke Fully Polished Alloy, Body Colored Wheel Centres, Visible Twin Exhaust Tailpipes, Bespoke Interior - Module Editing, Front/Rear Ventilated Seats, Individual Seat Configuration, Veneered Picnic Table Backs, RR Monogram to All Headrests Black, Seat Piping Black, Contrast stitching Black, Black Outer Two-Tone Steering Wheel Moccasin, Mahogany, Extended Leather Headliner, Picnic Tables, Lambswool Footmats and Driver Assistance 3 (Active cruise control with stop & go, head-up display, night vision with pedestrian recognition, high-beam assistance and lane departure warning). Please contact us at 440-716-2000 for inquiries!